Shoppers Drug Mart has a Friends & Family Event! For one day only get 20% off almost all regular priced merchandise. 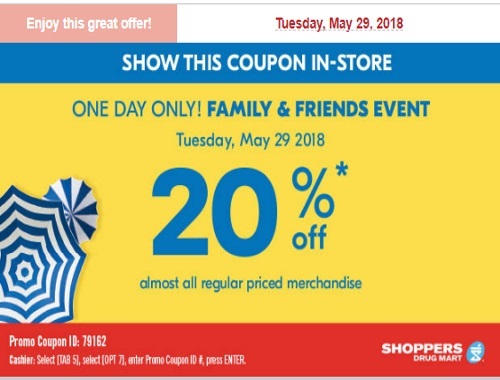 This offer is valid Tuesday May 29 2018 with the coupon at the link below.